…or at least a month or two of serious guessing, anyway. Give me a moment to ‘splain. From an objective standpoint it was just fine. A big, plot-heavy episode was what we expected from a lot of shows whose mid-sections were neatly excised by last Fall’s WGA strike, but this story, which involved the return of the “Gormagon Killer” (the show’s intermittent Boogie Man) was loaded with emotional potential that never quite pays off. That’s the sort of thing I can occasionally live with in a show I like; I’m always furiously rewriting these shows in my head as I watch them, anyway. But while the episode loitered in the lobby of greatness, it never took the elevator to the top floor. It never, as a way of comparison, came close to matching the average Buffy episode. Music spoiler after the jump. Billy Gottlieb is credited as Music Supervisor. If he’s really responsible for this, I hope he’s got a lot more of whatever it is he’s smoking. No Battlestar Galactica? Now that’s a good show with killer music. You have a lot of catching up to do, but I’d say it’s worth it! I’m with you on BSG. Got a little mired in the beginning of Season 3, but I’ll get a move on soon. My wife has drug me from Buffy to Angel to Bones (with a detour to the recently canceled Moonlight thrown in for good measure). I’m fine with her squinting her eyes and imagining she is with Boreanaz. Along the way, I’ve been hooked along with her. Bones is smart and sassy without being arrogant and obnoxious, and it’s especially nice that the inside jokes and broad sub-plots for the groupies don’t get in the way of each episode if you’re a newbie. My problems with the finale were more that it seemed to totally come out of left field compared to the previous shows, probably as you suggest due to the screwed up season we had. And thanks for the link, appreciate it. Now I’ve heard it all… new age guitarist serenades a tense and dark FBI scene. Hard to imagine if you are a long time Hedges fan. He has a completely unmistakable sound. It must have lept out and nearly confused some listeners, er, watchers! At this stage of the game (i.e. 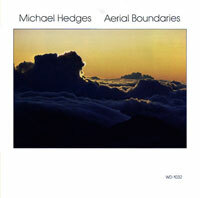 the albums of Michael Hedges are falling out of print), I’m glad his absolutely tremendous music is being heard by a new audience. He deserves to be remembered amongst the greats, and absolutely no-one (outside of a dedicated fan base) knows who he is. And was Hedges ‘new age’? Well…not really. He was too intense, too remarkable, for ‘New Age’. I agree. It was great to see his stuff in such a mainstream setting. And his influence lives on. Kaki King, in particular, acknowledges a debt to Mr. Hedges.